Home » WALL ART: HIBISCUS 8"X8"
Shelly Batha is a fused glass/mixed media artist. She began her glass journey over ten years ago and has since developed her own unique style that is multilayered with fresh and colorful island designs. 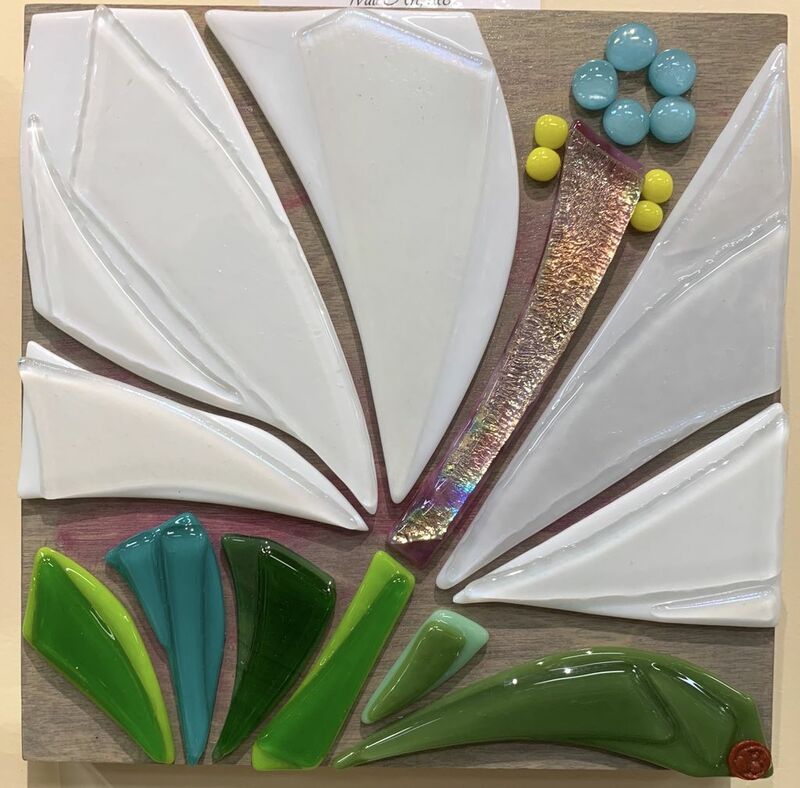 Everything she creates is one of a kind, fired in her kiln to temperatures up to 1,500 degrees, and handcrafted with pure intention to spread love, light, and aloha. Shelly lives in the small town of Waimea on the Island of Hawaii with her husband who runs their family farm, their son who loves to surf, and their beautiful daughter who is going to change the world someday. As a full time artist, Shelly also enjoys long ocean swims, yoga, hiking, and surf time with family and friends.